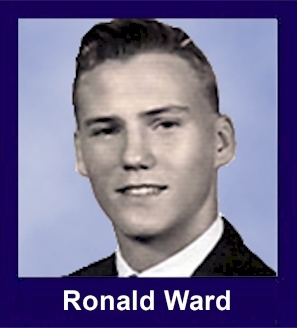 The 35th Infantry Regiment Association salutes our fallen brother, PFC Ronald Wayne Ward, who died in the service of his country on May 22nd, 1967 in Quang Ngai Province, Vietnam. The cause of death was listed as Small Arms/AW. At the time of his death Ronald was 19 years of age. He was from Alexandria, Virginia. Ronald is honored on the Vietnam Veterans Memorial at Panel 20E, Line 88. The decorations earned by PFC Ronald Wayne Ward include: the Combat Infantryman Badge, the Bronze Star with V, the Purple Heart, the National Defense Service Medal, the Vietnam Service Medal, the Vietnam Campaign Medal and the Vietnam Cross of Gallantry with Palm Unit Citation. For heroism in connection with military operations against an armed hostile force in the Republic of Vietnam. On 22 May 1967, Private First Class Ward distinguished himself while serving as a Rifleman in Company B, 1/35th Infantry, as it conducted a search and destroy mission near Duc Pho. As the company entered a small village, there was an outbreak of automatic weapons fire. The enemy hit two men almost immediately, and when they fell, they lay still exposed to the enemy's fire. Private First Class Ward had been advancing with the rest of the company when he saw the plight of the wounded men. Unhesitatingly, he dashed through the intense enemy fire to the side of the wounded men; and he and another soldier evacuated one of the wounded. He then returned to the exposed area and, placing a highly effective fire on the enemy positions, he covered the removal of the other stricken man. He was mortally wounded in the course of this heroic action, but as a result of his bravery, both the wounded men had been carried to safety. Private First Class Wards personal bravery and dedication to his fellow soldiers are in keeping with the highest traditions of the military service and reflect great credit upon himself, his unit, and the United States Army.